Summer vacation is here so I am trying to find fun and inexpensive things to do with my family. 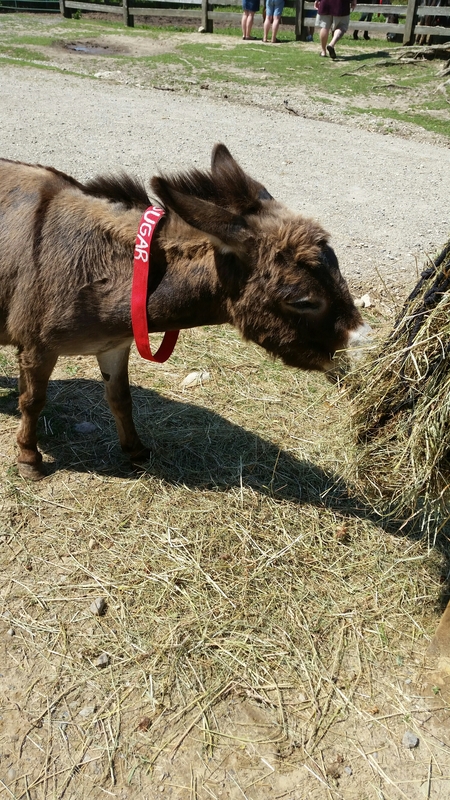 I hadn’t taken my children to the Donkey Sanctuary since they were very little but I thought it was time to try it again. We still love it. 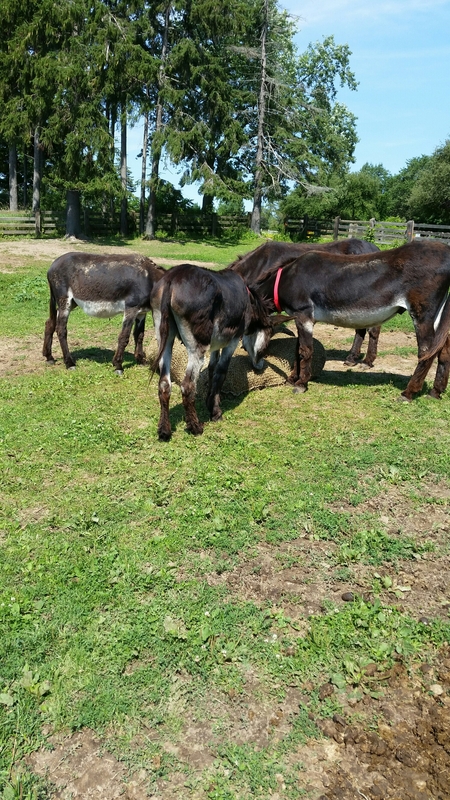 The Donkey Sanctuary of Canada has been opened since 1992. 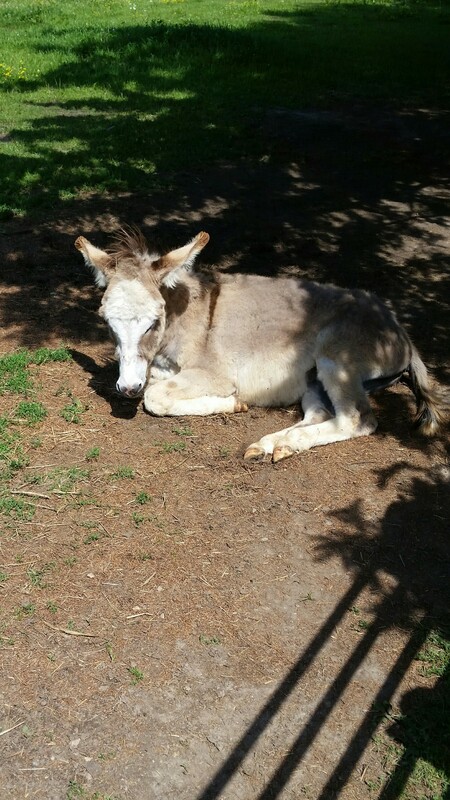 They care for Donkeys, Mules, and a few other farm animals who have been abused, neglected or can no longer be cared for. Trooper is in the photo above. He is now one of their stars because of his great personality but I remember when he first came into their care. He was in horrible shape. 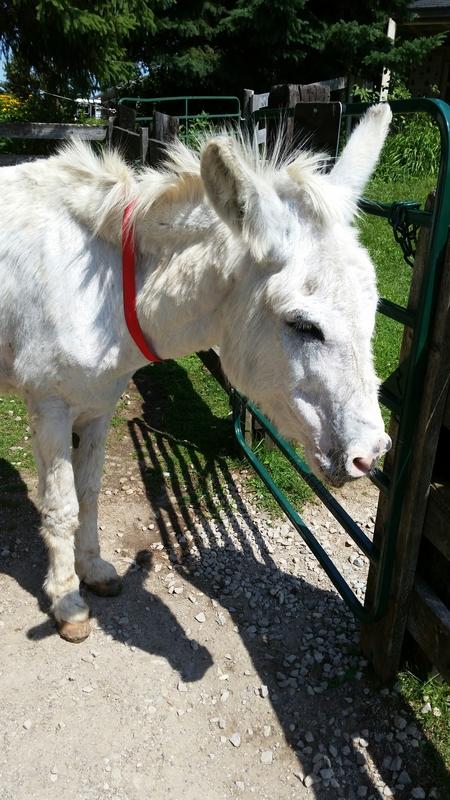 He could no longer walk because his hooves were so long. He had a severe sunburn and was covered in open sores. They didn’t expect him to live. We made a donation toward his care then so I was very happy to see that he was still there when we returned. He is doing great! Donkeys form friendships. 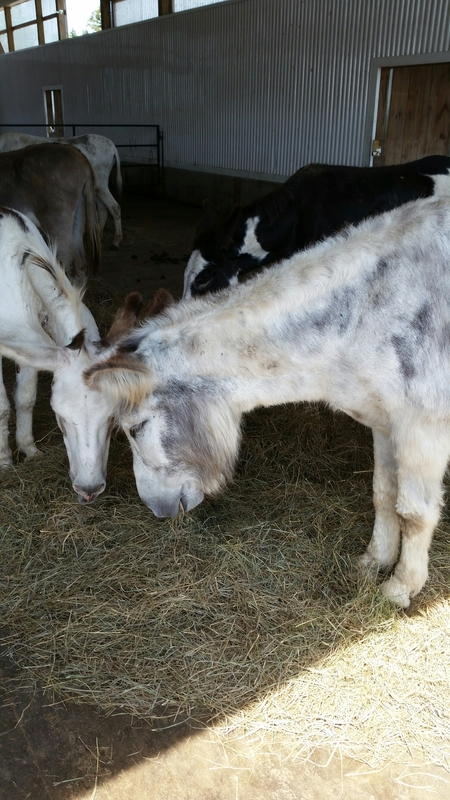 They have a few sets of donkeys who are bonded pairs who become very stressed if they are separated. 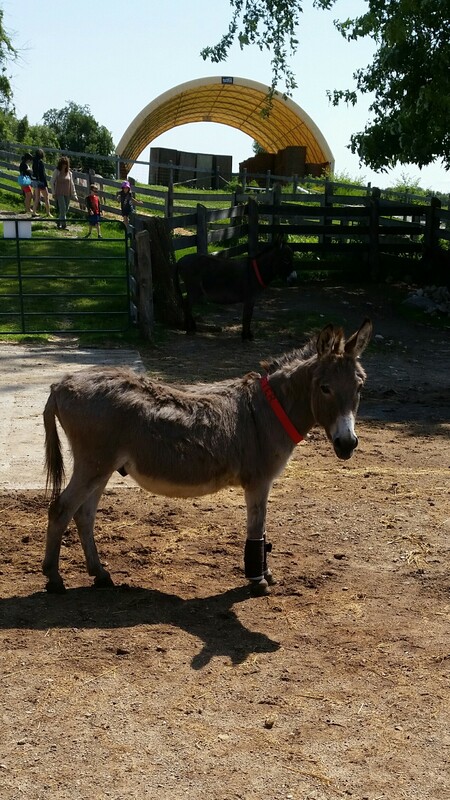 The Donkey Sanctuary of Canada’s website is www.thedonkeysanctuary.ca It is worth the drive to Guelph to see and support the donkeys. Directions can be found on their site. The price of admission is a donation. They suggest $10 per adult and $5 per child. I love the quote above. 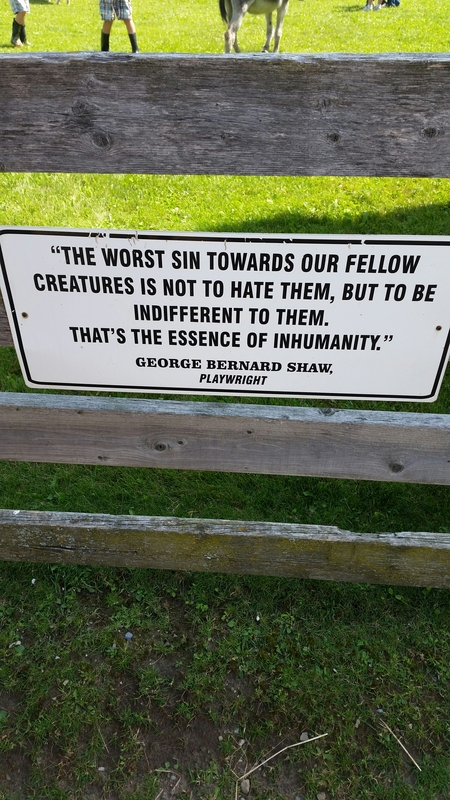 The Sanctuary has great signs like this scattered around the property. The baby in the photo above was born at the Sanctuary 11 months ago from a mother who arrived expecting. Mother and baby are doing well. 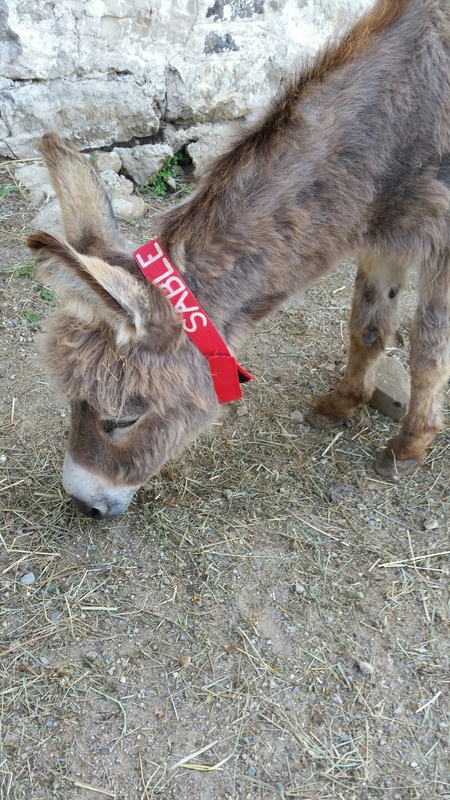 All the donkeys and mules are well fed and cared for. 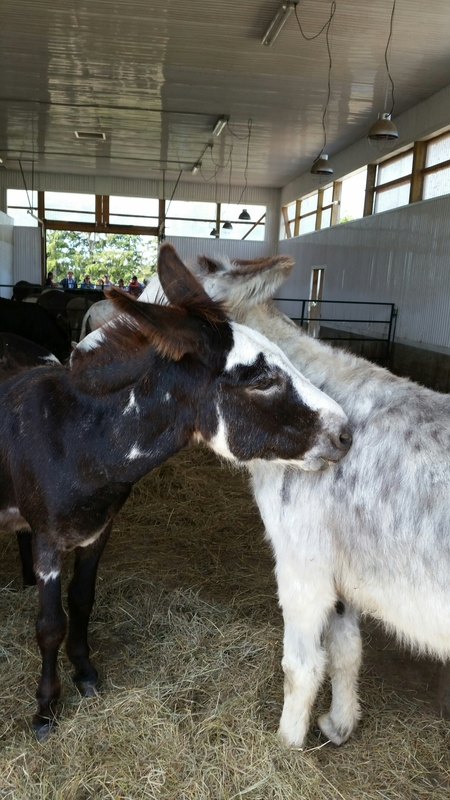 Sable and Sugar (above and below) are a bonded pair of miniature donkeys who are very sweet and well behaved. 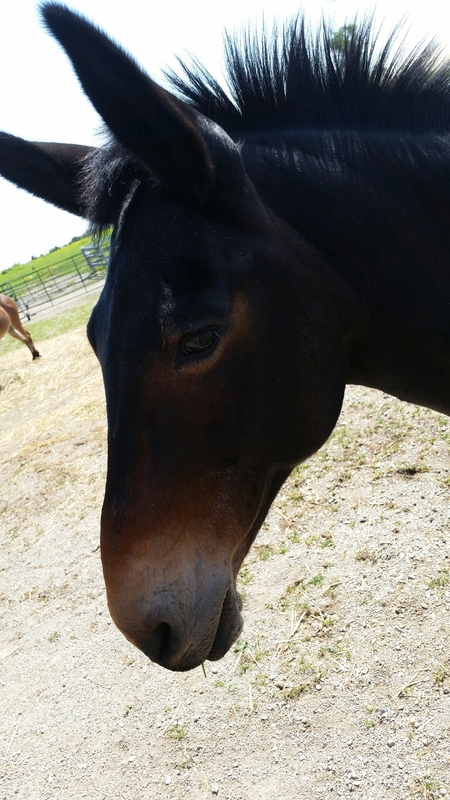 They, like Trooper are ambassadors who are allowed to roam the grounds of the sanctuary to greet visitors.